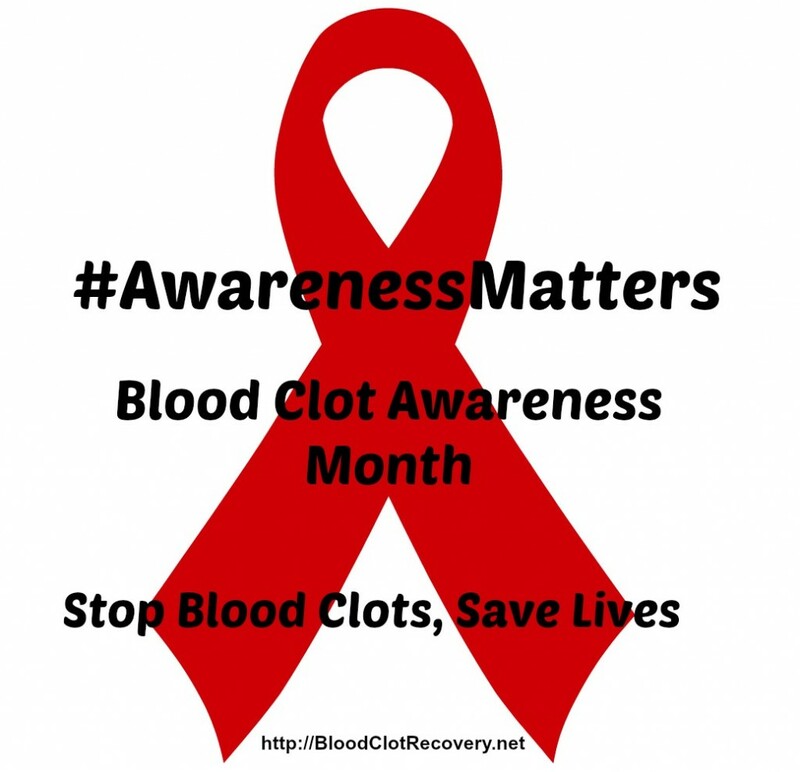 March – Blood Clot Awareness Month – has been a very eventful month for our community. 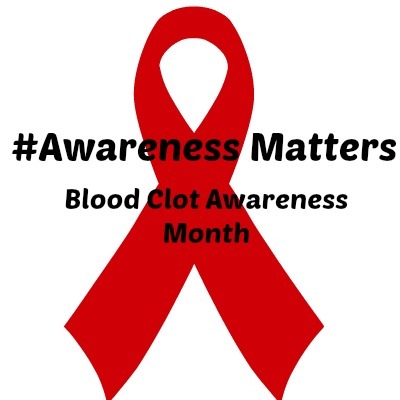 This month has provided us with an opportunity to come together as one not only to raise blood clot awareness, but to share stories, ideas, and life-saving information about blood clots. This month, I have read countless stories from you. There have been stories from people who are celebrating survival and stories from people who grieving the loss of a precious loved one. I have spoken to people who had no idea that a blood clot could affect them, and I have spoken to people who work hard every day to share information about blood clot risks and signs and symptoms. 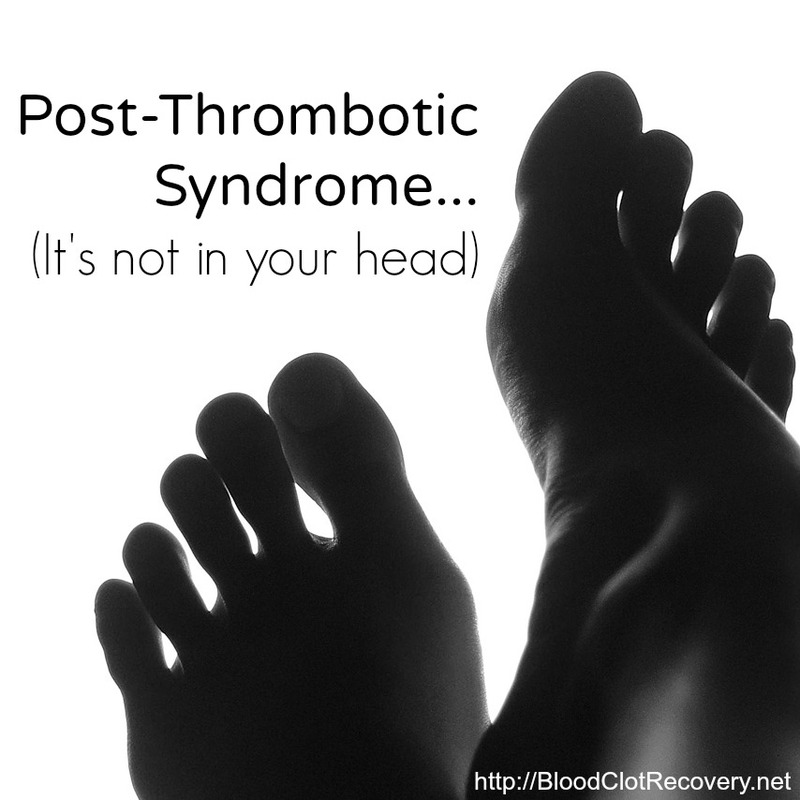 I have spoken to people who are newly diagnosed with a DVT and/or PE, and I have spoken to people who have been battling blood clots for years. Some people have reached out for reassurance and support, while others have reached in to give back to the community that has helped them. Some people are scared, hurting, and overwhelmed, and others are joyful and reassuring. Some people are healed, some people are not. Some people are at the beginning of their journey, while others have not even stopped on their journey to look back until now. What this month has done is brought us all together, in one place at one time, to raise a united voice about an issue that has deeply affected us all, in one way or another. And believe it or not, people are listening. You can see it in the comments, the shares, the likes and the readership here, and in all the other communities you are all a part of. If you doubt, simply type #BCAM into a social media or internet search bar, and see all the conversations that are have taken place this March, and are taking place right now (it’s not too late to jump in on any of them, either). On this last day of Blood Clot Awareness Month, I want to leave you with something everlasting, something that you can take with you into the days, weeks, months, and even years ahead. 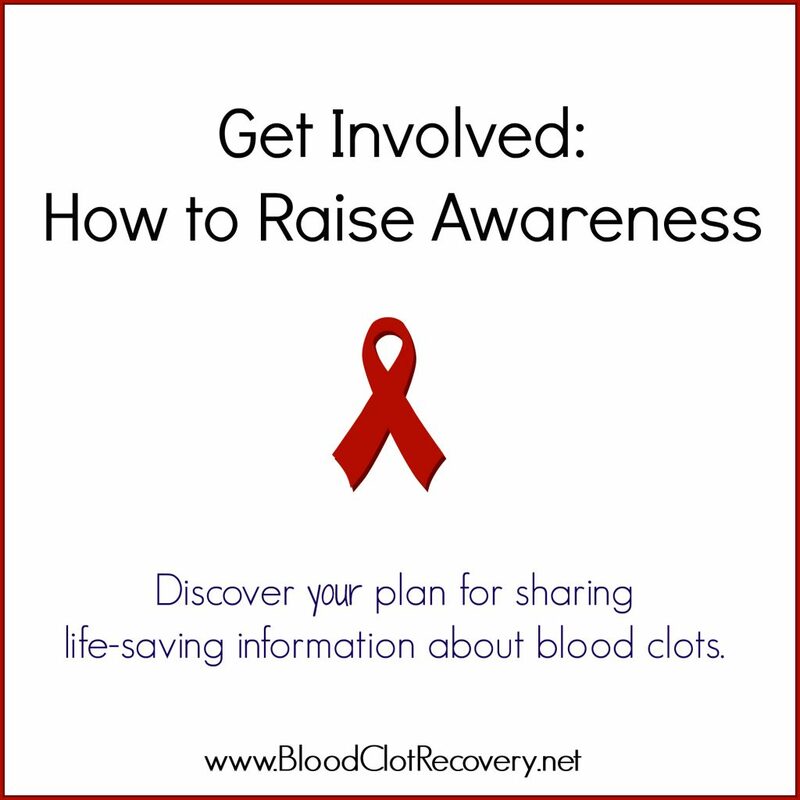 Just because March is over, does not mean we should stop communicating, connecting and sharing about blood clots, or how they have impacted our lives. 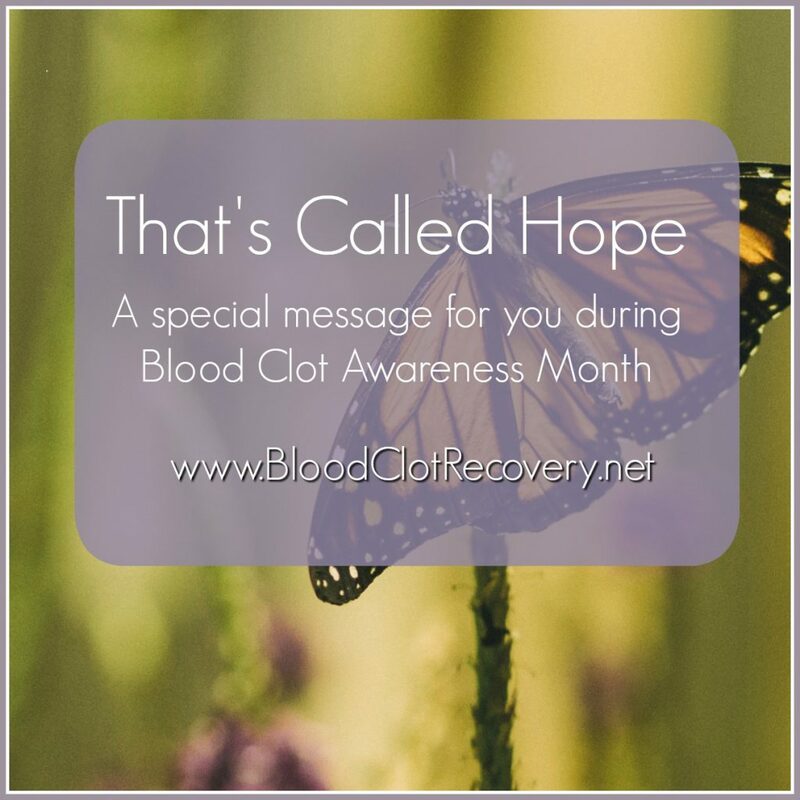 In fact, it is my hope that we use the momentum this month has created to continue talking about the issues that affect us all, and to continue alerting people who don’t know, about how dangerous blood clots are. Not only that, it is my hope that we continue to bring awareness to blood clots, and we continue to support the organizations, groups and communities that can effect change to ensure no one ever stops talking about blood clots, an often-overlooked public health concern. It is a concern that indeed affects us all. 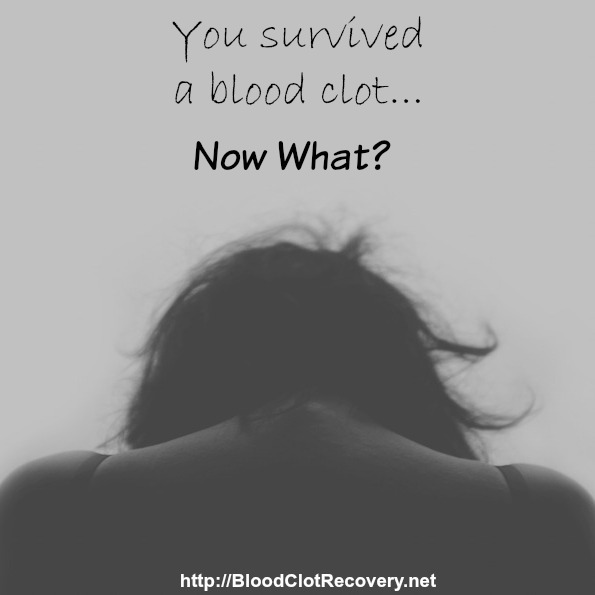 After my blood clot, it seemed that my entire life fell apart. Everything in my life suffered – my job, my relationships, my health, and my happiness. I lost everything, and I had no idea how to get it back. I felt alone, scared, worthless, and even self-destructive at times. I was fighting a losing battle, and nothing anyone said or did, including myself, could make it better. It was the worst I have ever felt in my life. 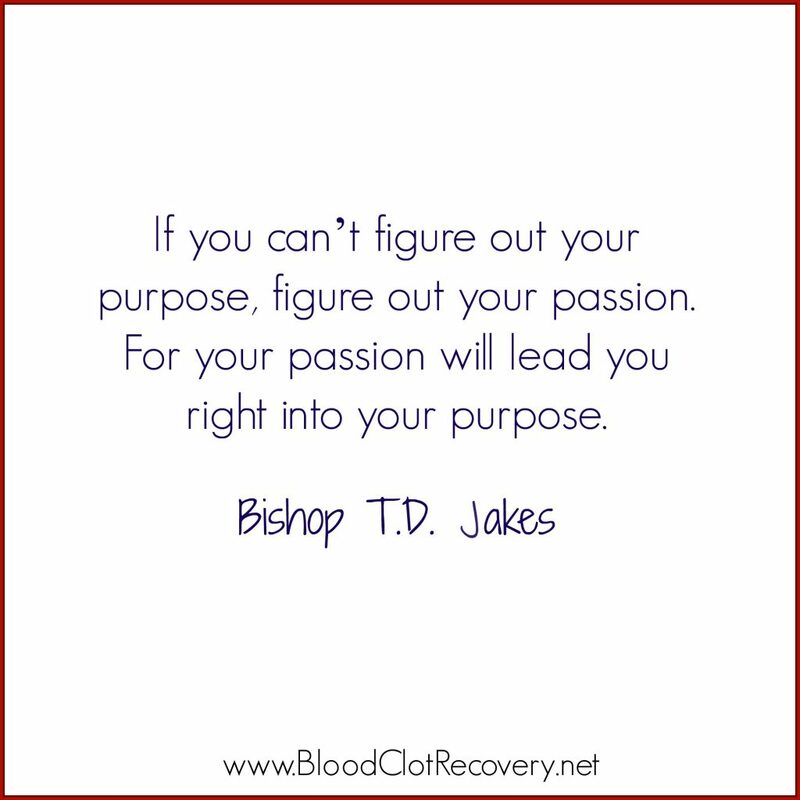 I spent a lot of time trying to figure out what purpose any of my suffering had, and what my purpose in life was. My attempts to discover this was futile, leading me to one dead-end answer after another. There was no justification for the suffering I was going through. There was no explanation for why I had lost everything. There was nothing I could possible give back to a body – and a world – that had treated me so cruelly. Then one day, I stopped looking for a purpose, and I started listening. I wasn’t the only one who had been through a DVT and PE diagnosis. As it turned out, there were a lot of people out there who had also lost everything, just like me. There were a lot of people out there who had no idea what had happened to them, or why. 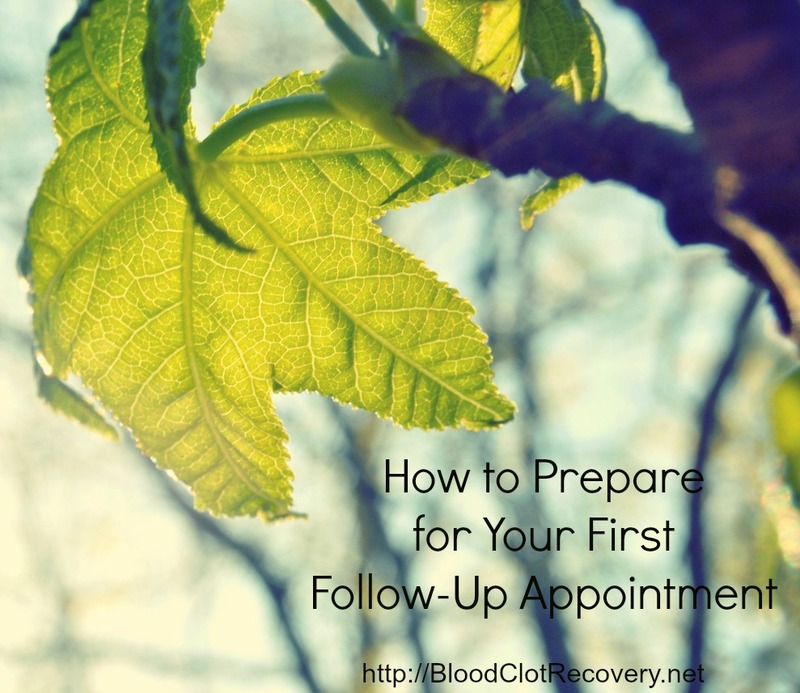 Things started to shift in my mind, and I began to focus on what I believed was my passion: Helping other people through a blood clot diagnosis and recovery. I became determined to be the guide that I wished I had after my experience. 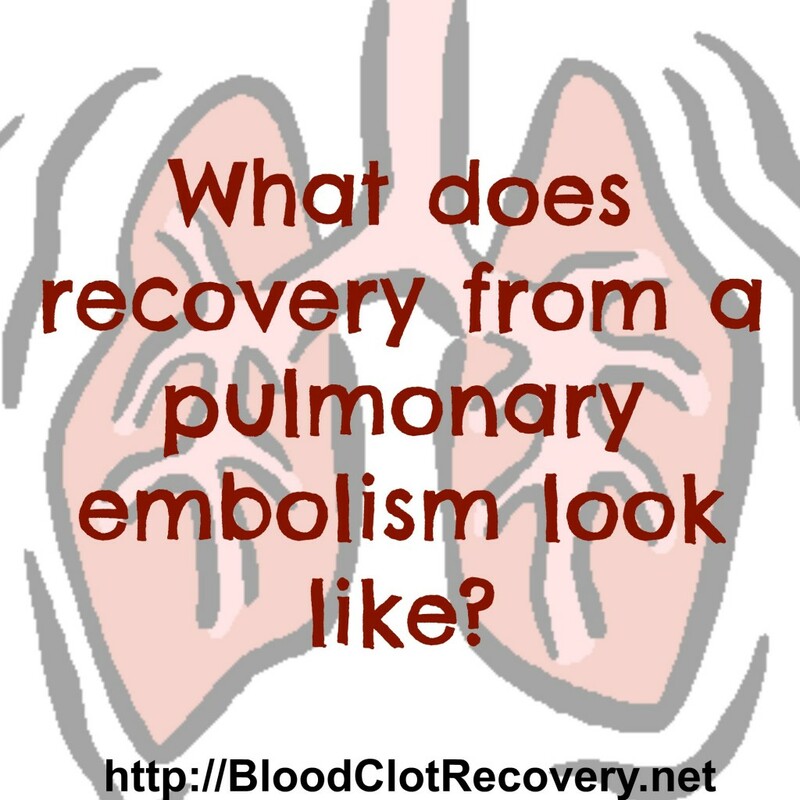 I started Blood Clot Recovery Network – not even sure if anyone would read it. But, people did read it, a lot of people, and my work here continued to grow. Over the years, my work here has led to speaking engagements, freelance writing opportunities, advocacy events, and eventually, my career in the same field. When I look back from where I am now, to where I was then, I still cannot believe one thing sometimes: My passion to lead me to my purpose. If your passion leads you to blood clot awareness, you can: Talk about your experience, write about your experience (publicly or privately), tell everyone you know about blood clot signs and symptoms, tell everyone you know that they could be at risk for a deadly blood clot (and tell them why), educate other people about how to prevent blood clots, and get involved with patient advocacy groups programs and services. With the far-reaching impact of social media today, anyone can make a difference, and anyone can share their story. 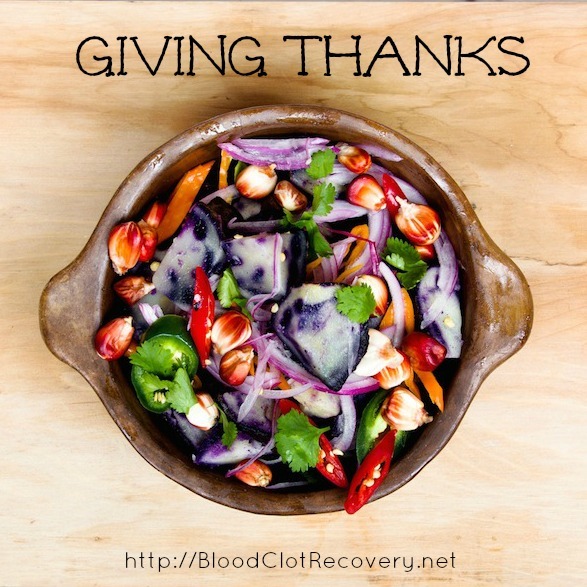 By sharing our stories, we share facts about blood clots. Facts that matter. The possibilities are virtually limitless. Use your social media platforms – and your voice – to make a difference. Do as much – or as little – as you can or want to. After my blood clot diagnosis, I felt worthless. It is hard for me to describe just how worthless I felt, in fact. It was unlike anything I had felt before, or anything I have felt since. I thought it would never get any better, and I thought there was nothing I could ever do to feel self-worth again. To sum it up, I couldn’t figure out what I had not died, because I had no reason to live anymore, I felt so hopeless. Slowly, and not without pain and heartache, I started to realize that I was not worthless, and there were things I could do. These things came primarily in the form of helping other people, and were things I was already starting to do. Whether it be sharing my story, sharing my experience in an online forum, telling someone about what my PE felt like, or simply letting someone else know I felt the same, hopeless way that they did – I was helping someone else. How do I know that? People started to tell me, even a simple “Thank you,” is evidence that you have made a difference. 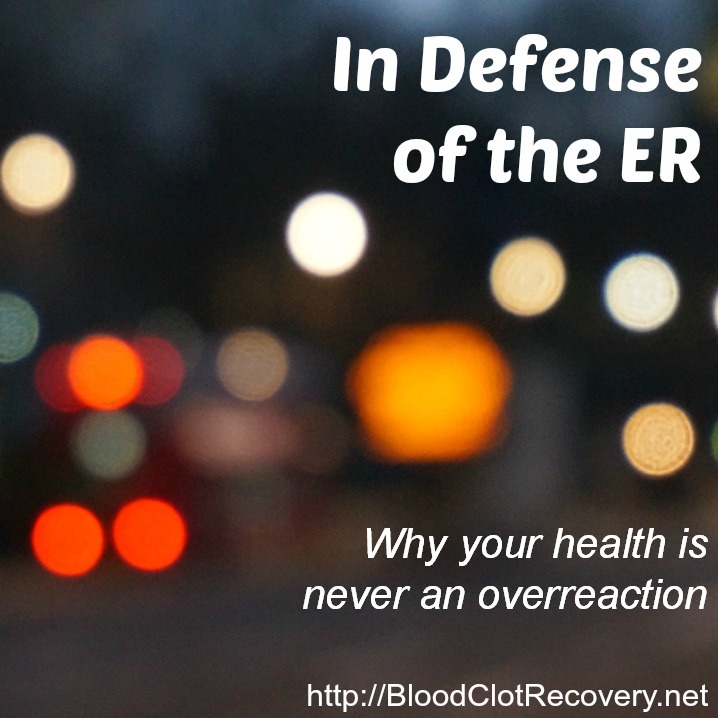 People would say, “I didn’t know this could happen to me!” I started to realize, that because of me, now they did know a blood clot could happen to them. Never underestimate the power of helping another human being, especially during their darkest hour. Ways you can help other people: Share your story, share information about blood clots, share information about recovery, tell your friends and family about what you are going through (if they don’t listen – that’s okay – they can save this for later), get involved in online support groups and forums, and tell your doctors about what you are experiencing after a blood clot diagnosis. Each day, I talk to numerous people who are at different stages of their recovery. Some people are at the very beginning – they don’t even know they have recovery to do – and some people are far, far removed from the horrible things that happened to them – yet, they still have a story to tell. Some people have been recovering for a week, while others have been recovering for three years. Each of us is different. 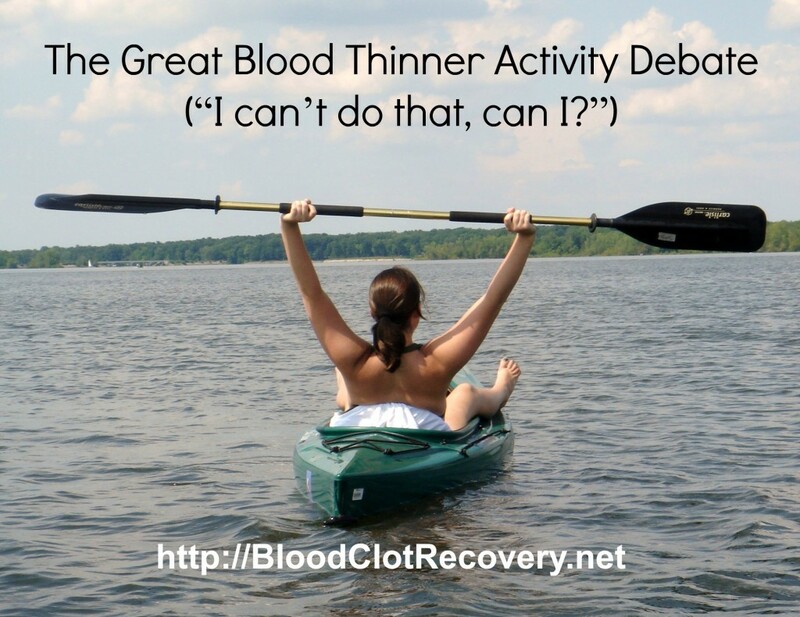 I am often asked, “How far are you in your recovery from blood clots?” It has been four, almost five, years since my DVT and PE, and now, I consider myself healed. 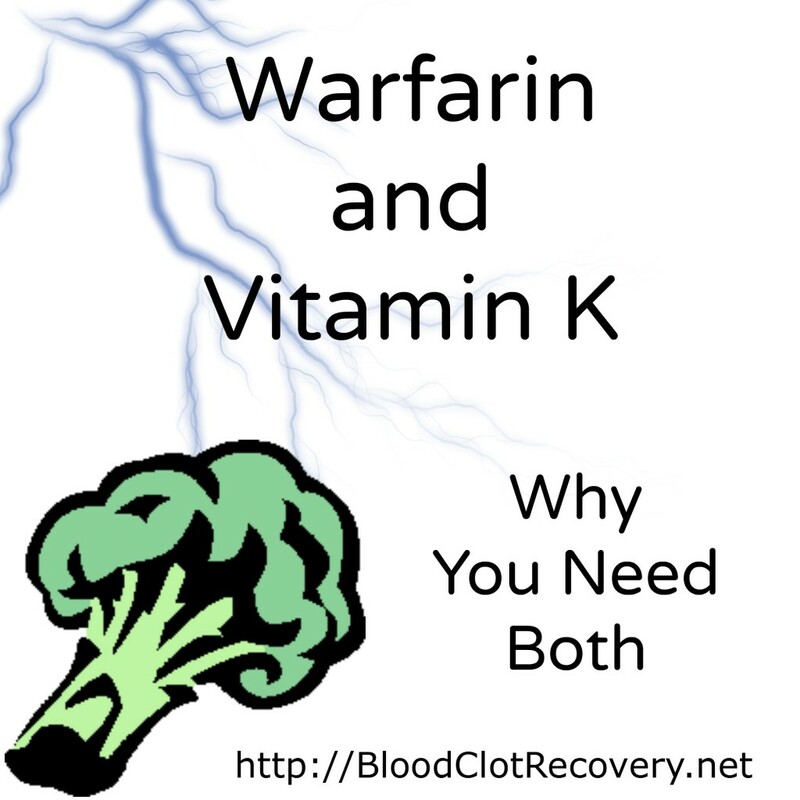 Sure, I will always have medication to manage and things to take into consideration that I never did prior to my diagnosis, but I am through the hard part, and I have seen that there is life – and purpose – on the other side of blood clots. There is beauty and healing and compassion and freedom from pain and suffering. For some people, healing takes a lot longer, and still some people seem to struggle their entire lives. I don’t believe everyone moves through recovery with the same outcomes, but I do believe there is hope for healing. That healing might not look the same for all of us, but it is there. What helped me heal more than anything, was helping other people heal. Each day, I try to remember that in the work that I do. Helping other people is healing – for me and hopefully, for them too. 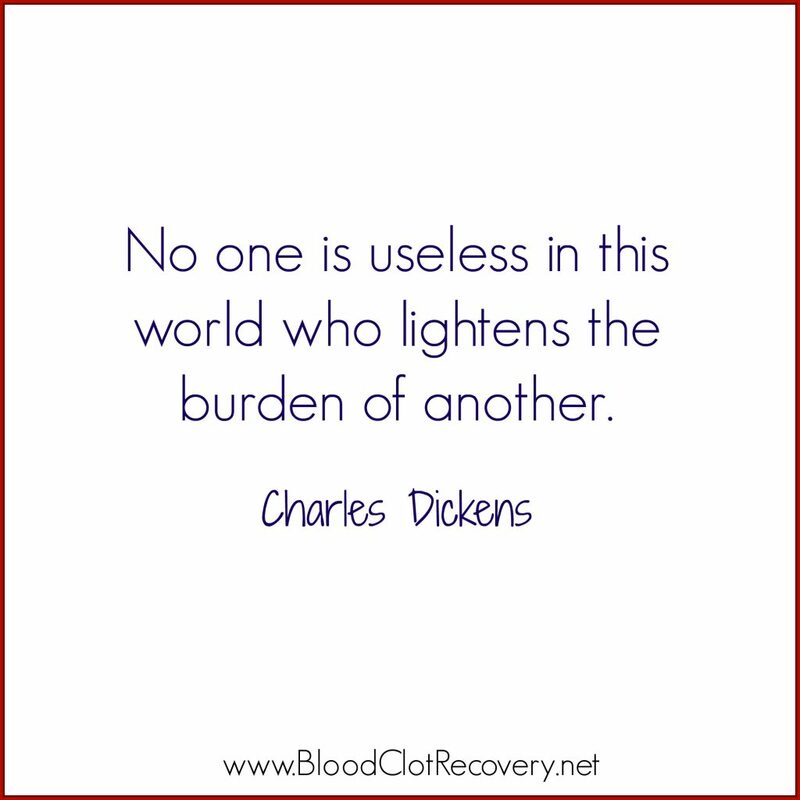 What you can do to help people heal: Share your experience, share your struggles, share your joy, let other people know they are not alone, invite them to join you in the online groups and communities, set up a weekly check-in email or message with someone you have connected with, and learn as much as you can about blood clots. There you have it, your personal plan to raise blood clot awareness and to share life-saving information about blood clots. Take this information, think about it, and begin making a difference when and where you can. You are a valuable person, you have a lot to contribute on this subject. We all do. 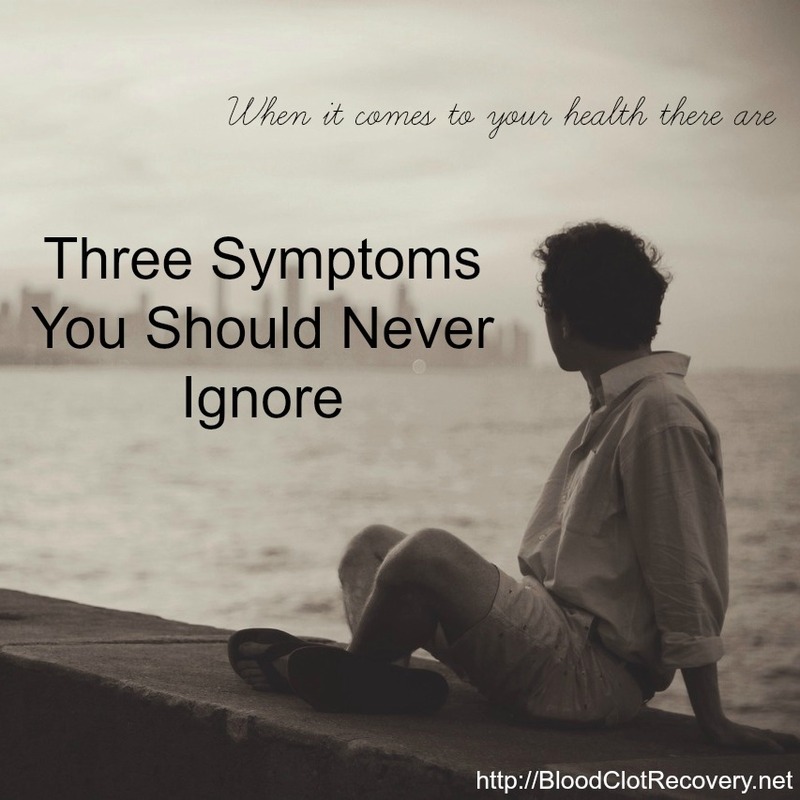 When you have been affected by something like blood clots, awareness is ongoing. There is not right or wrong way to do it, when it comes to your personal story. I know you can and will make a difference, because you already have. Reader Writes In: How are you going to raise awareness? What is a part of your personal awareness-building plan? Want more BCAM information? Find out why blood clot #AwarenessMatters. After my blood clot in my leg (DVT) and blood clot in my lung (PE) in the summer of 2012, I felt pain, fear and isolation with a degree of finality that I had never felt before. Physically, I had never felt as much pain as I did then and after losing all normal aspects of my life, I had never felt as hopeless and alone. I spent my days worrying about my health, my career, my ability to do the things I loved again and ultimately, my future. I did not know what I would be able to do with my life after blood clots, but I knew in regards to my personal and professional endeavors, it was always been important to me make a difference in the lives of others. In searching for a way to get my life back on track after my diagnosis, I began working at Make-A-Wish Ohio, Kentucky and Indiana in hopes of finding a place where I could once again make a difference, this time in the lives of children facing life-threatening illnesses. From the beginning, I found I could relate to the Make-A-Wish mission to provide hope, strength and joy to those families going through unspeakable hardship, because I had been through a similar experience in my own life. 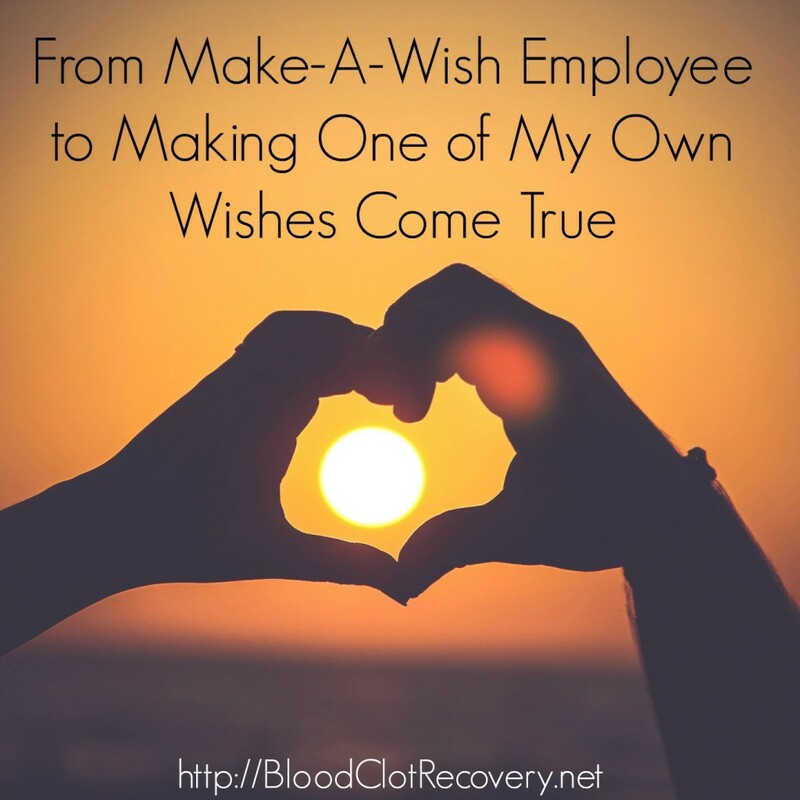 Make-A-Wish gave me hope when I had all but given up on my future, strength to stand on my own two feet again, and joy in the opportunity to bring happiness to others. 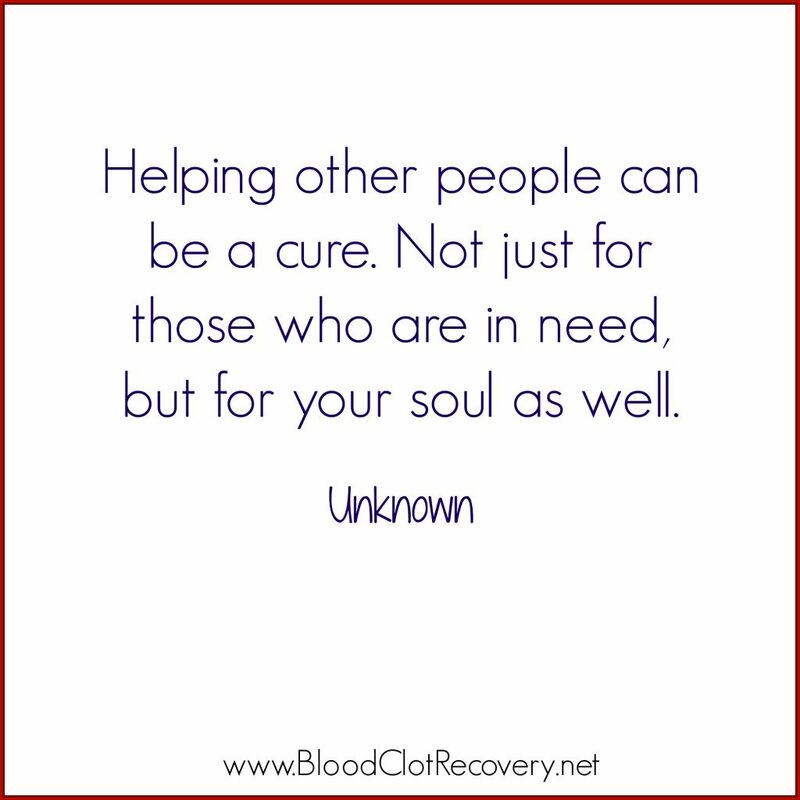 When I launched Blood Clot Recovery Network in the early 2013, it was my goal to create a place where people could come together to share, learn, discuss and ultimately gain hope that, as a Survivor of blood clots, there is life and wellness. That while the pain, fear and isolation was the worst I had ever encountered, these feelings wouldn’t last forever and even more importantly, they didn’t have to be endured alone. While I hoped to make a difference once again in the lives of others, I feared that no one really cared about blood clots at the end of the day. Still, I said to myself, if I could help just one other person out there, I had done my job and I continued to pursue my advocacy work through BCRN. Since that time, I know from your emails, posts, messages and tweets that I have reached countless people – far more than I ever thought possible. In fact, it was this community that gave me hope through some of my darkest days when I realized that I wasn’t going to be well in a week or two, or even six. Through it all, I kept writing and as this community expanded, so did my desires and dreams for raising even more awareness and elevating my work to another level that would give me the opportunity to reach an even greater number of people or make an even greater impact in the VTE community. In light of those dreams, it is with great excitement that I have accepted a full-time position with the National Blood Clot Alliance as part of the Communications and Health Marketing team. In this role, I am excited to now be able to fully dedicate my days and my work to what I enjoy most, raising awareness about VTE. I am able to better pursue my passion and focus singularly on raising awareness and making sure people get the information they need to know about blood clots. Working with the National Blood Clot Alliance, and given the organization’s resources and unparalleled reach in the VTE community, I am confident I have an amazing opportunity to reach an optimal number of people, both those already affected by blood clots and those who don’t know what a blood clot is or how it might affect them. 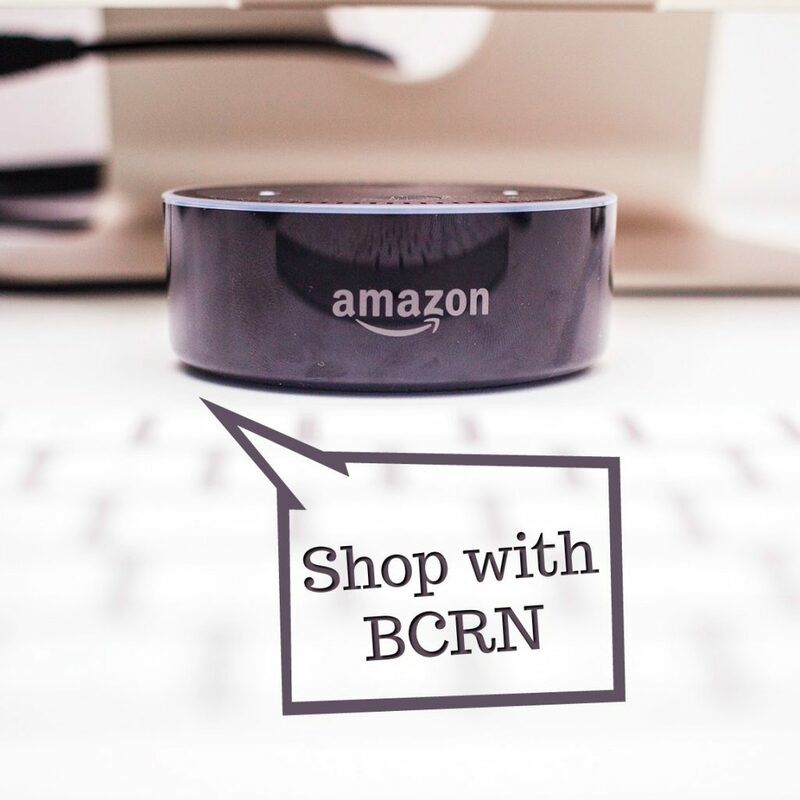 It is without doubt that BCRN and the community you have helped create will continue. I look forward to continuing to blog and interact with you here. Your support, encouragement, stories and thoughts have made a difference, not only in my life, but in the lives of one another — in the lives of those who have survived, those who have lost a loved one, those who are scared, those who are recovering, those who are in pain, lonely and afraid, and those who are learning to live again. While I have provided the resources, it is you who has nurtured this community to make it what it is today. 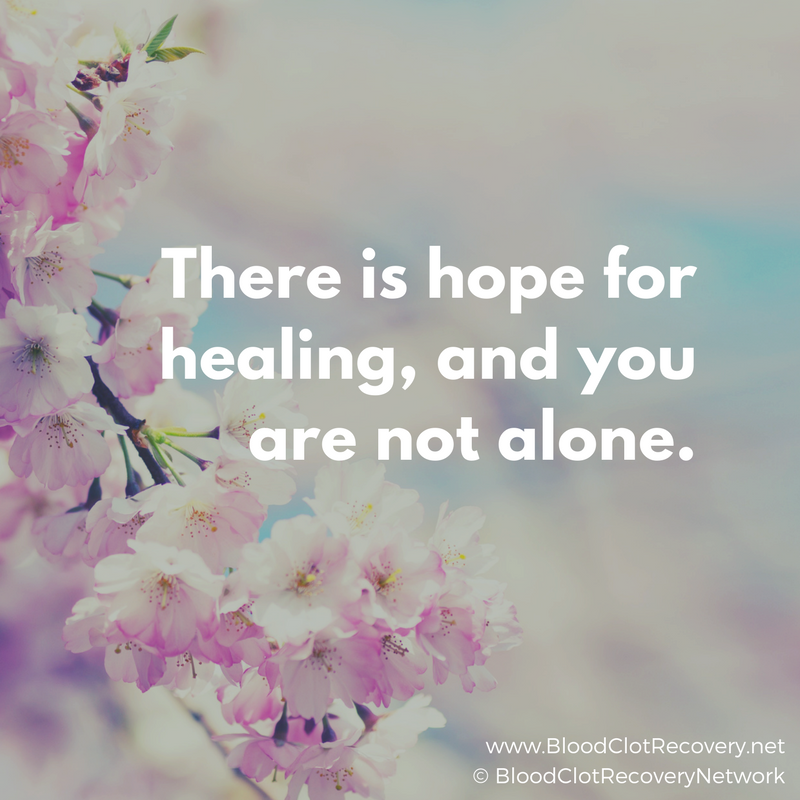 To you I am grateful, and I hope you will continue on this journey of hope and healing with me, both here at BCRN and in my wonderful new relationship with the National Blood Clot Alliance. When I started this blog just about three years ago after suffering from DVT and PE that almost ended my life, I never imagined it would turn in to what it is today. I never imagined anyone would read it beyond a select few. I never imagined how my readership would grow to countries all around the world, including far away places like Australia and Israel, and that I would make friends in those far away places. I never imagined a Facebook community or the chance to connect with so many of you who have shared the same struggles as I have. I definitely never imagined it would lead to some great partnerships with people like NASCAR’S Brian Vickers and actor/comedian Kevin Nealon. And I never imaged I would be working in collaboration with the National Blood Clot Alliance and the International Society on Thrombosis and Haemostasis to raise awareness around the world in an effort to save lives. I also never imagined my work here would bring me to a the HealtheVoices Conference in New Jersey this weekend, April 17-19. The conference geared at bringing together online patient health advocates (like me!) to help further grow and engage online patient communities. And, as you can imagine, I am really excited about that. Despite my fear of flying, I’m following these travel guidelines and leaving on a jet plane to New Jersey, and I am on my way there right now. I’ll be learning about things like protecting against compassion fatigue (which is a very real concern and very pertinent for me right now), learning how to provide you with the best support through writing blogging and social media (which I already love to do), how to measure success online and things like how to provide the best support to an entirely virtual community, including changing the culture of medicine though social media. I’ve had a sneak peak of the other attendees and I am also very excited to connect with other advocates discussing other crucial health issues such as diabetes, lupus, mental health and rheumatoid arthritis among others. You can follow me on social media this weekend using the hashtag #HealtheVoices15. Join the fun and be the first to see what;s happening on Facebook and Twitter. Thank you all for your support, encouragement and for making this blog what it already is today. I can’t wait to learn some new skills, find out about new resources, connect with other online health advocates and share it all with you! The HealtheVoices conference is hosted by Janssen and Everyday Health and Janssen paid for my travel expenses for the conference. All thoughts and opinions expressed here are my own. The facts are staggering – every time I read them. 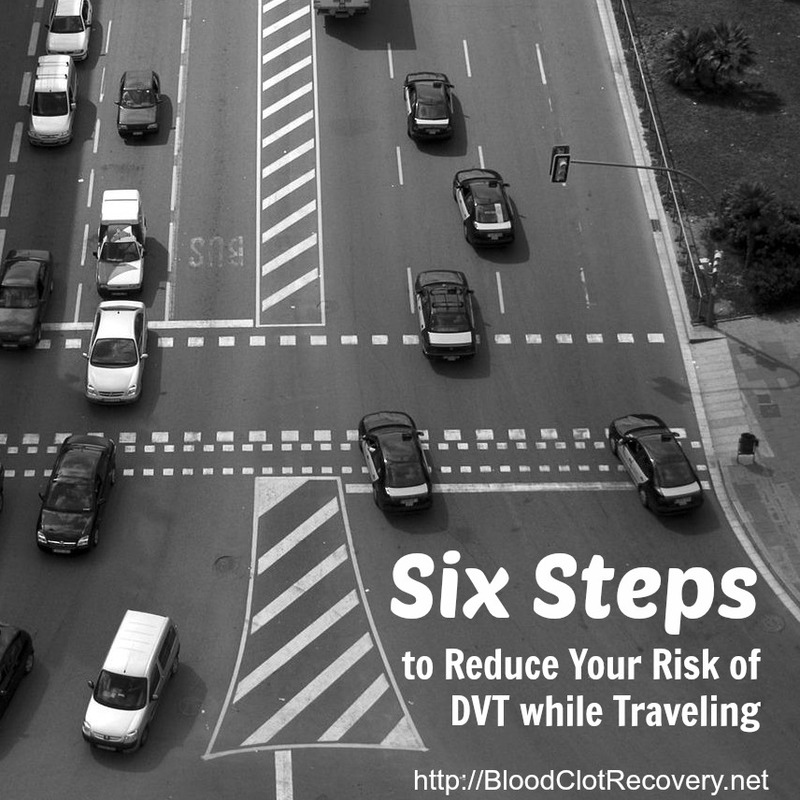 Blood clots (DVT and PE) affect an estimated 900,000 Americans each year (Source). Blood clots (DVT and PE) kill an estimated 100,000 Americans each year. The number of deaths from blood clots exceeds those from breast cancer, AIDS and motor vehicle accidents combined (Source). Blood clots are a leading cause of preventable hospital deaths in the United States (Source). Blood clots are the leading cause of maternal deaths in the United States. 1 in 3 people who are diagnosed with PE will die. In 25 percent of people who experience a PE, the first symptom is sudden death. The number of deaths from blood clots exceeds those from breast cancer, AIDS and motor vehicle accidents combined. Yet, they are virtually unheard of by the general public. Until very recently, blood clots have even gone unnoticed by the media, however, that is beginning to change and I believe we can continue to make a difference. Thanks to the advocacy work of survivors like NASCAR’S Champion Driver Brian Vickers blood clots are becoming something people have heard of. Even more recently, the unfortunate passing of former former Trail Blazers player Jerome Kersey and blood-clot related health scare of Heat forward player Chris Bosh have elicited even more awareness to this deadly injury/illness. Blood clots do not discriminate, they can impact anyone at any time. As more and more people who have lost because of or survived blood clots, the more and more awareness we can raise. #AwarenessMatters. It makes a difference. We can make a difference. To use these images on your Facebook, simply right click on the image, Save As to your computer and then upload! Connect with BCRN on Facebook and Twitter for even more social media images and #AwarenessMatters posts throughout the entire month of March. Share, share, share. Tell someone you know about the signs, symptoms and risk factors of blood clots. Knowing could save your life or the life of someone you love. You can also share this post on social media or through email. Swelling in the affected leg, including swelling in your ankle and foot. Pain in your leg; this can include pain in your ankle and foot. 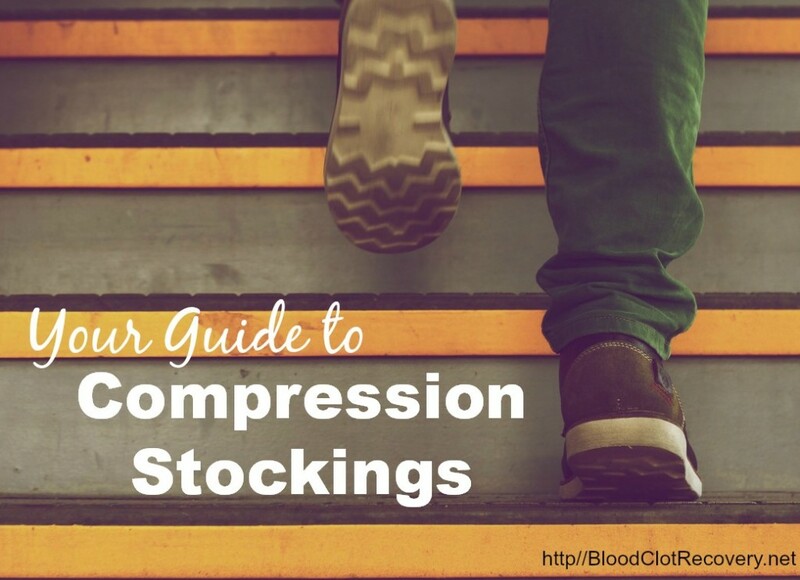 The pain often starts in your calf and can feel like cramping or a charley horse. It won’t go away with regular stretching, massaging or rest. Warmth over the affected area. Changes in your skin color, such as turning pale, red or blue or purple. You need to know in about half of all cases, deep vein thrombosis occurs without any noticeable symptoms. Share your story. How are you raising awareness this March? I wanted to come up with the perfect thing to say for Thanksgiving. The perfect thing that would be even more perfect than anything, anyone else out there could say this year. Day and night I’ve been thinking about it for the past couple of weeks and especially the last few days and still, nothing seems right. It’s not that gratefulness is hard to talk about – I know we are grateful to be alive, to be out of the hospital, to have answers to our questions, to have a family, friends, plans and a chance to fulfill our dreams, a second chance at life – it’s that I struggle to convey the magnitude of that gratefulness in just a few words. And while I am thankful for all of these things, my heart is full this holiday season with gratitude that goes far beyond myself, my family and my own recovery. I am grateful for the George’s of the world. Who is George, you ask. He is the person behind the scenes, if you will, who makes this blog worth writing. He is the person who is always there in the support forums with an encouraging word for others, including myself, even when he’s not feeling his best. George is the one who tells it like it is with all the clarity and compassion and empathy he can muster. He’s the one who shares this site again and again and again. He screams it from the street corners, “You are not alone! You’re not the only one going through this! Look! Read this!” He asks questions, he engages, he doesn’t take no for an answer. When he wants to give up, he keeps on going; he reaches out, he asks for help, he doesn’t conceal his pain or anger or frustration at the situation we have all been catapulted into without a moment’s notice. When I want to give up, when I think I’m not making a difference, when I think nothing I have to say could possibly make an impact, George is there to sit me down, look me straight in the eyes, and tell me that yes, what I do actually does matter. He doesn’t take no for an answer and he won’t settle for less than my best. George, my friends, is you. I am grateful for the comments and posts and emails that take my breath away and move me to tears when I least expect it. 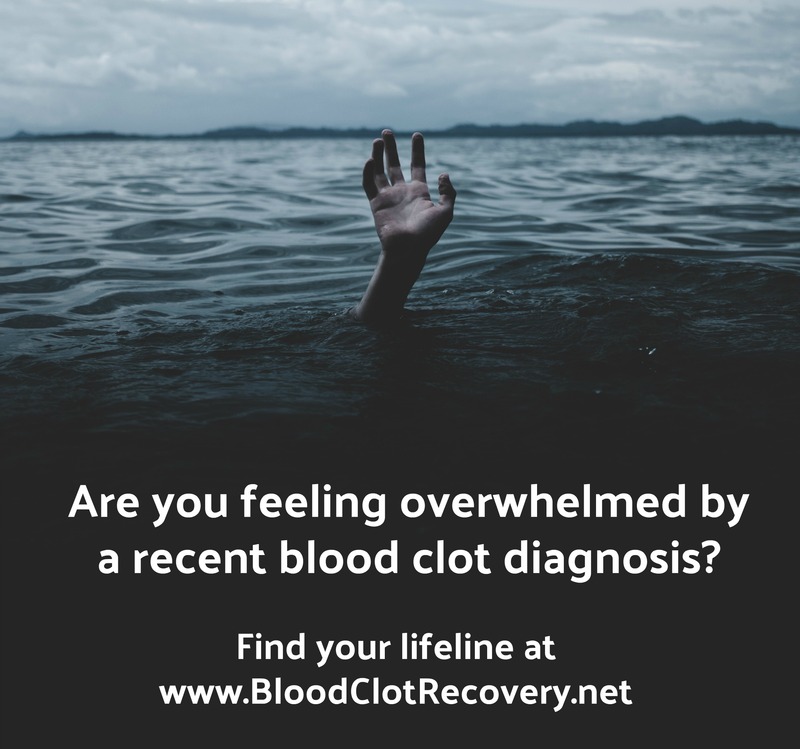 I am often overwhelmed with the amount of people who come forward to talk about how a blood clot has impacted their own lives. Tales of survival, of loss, of heartbreak and of joy – I have heard more stories than I can count. But, not more stories than I can remember. I remember each story I encounter, even if it is just a detail or two. Something always stands out behind the author – a true voice to the story being told. There are times I want to give up talking about blood clots, give up writing about recovery and give up this whole thing – the stories you have shared over these past two years and continue to share keep me going when I feel like giving up. As long as there are stories to tell, my work at BCRN is not finished. 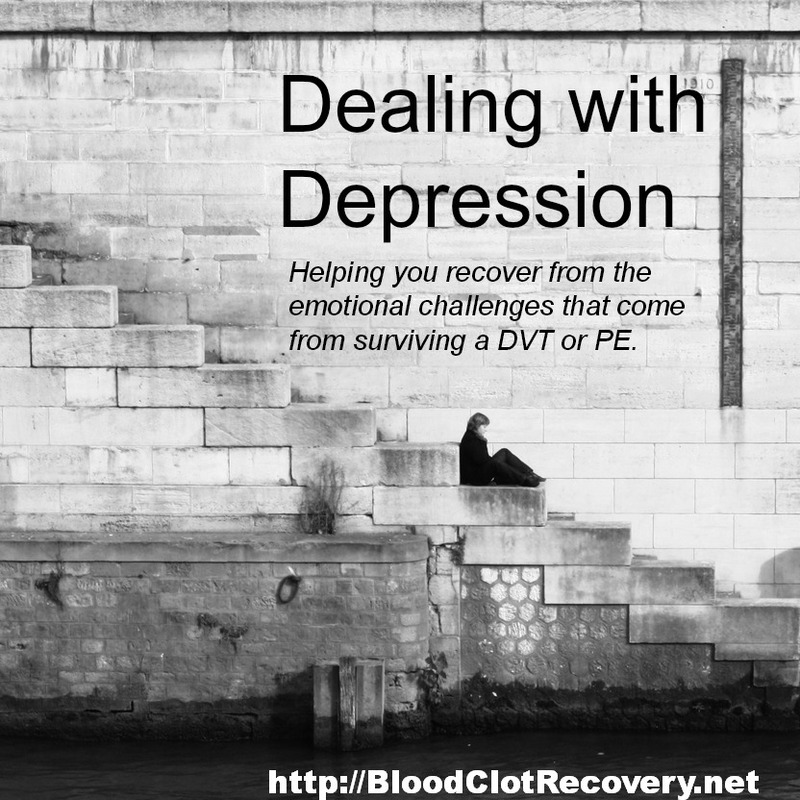 As long as people’s lives are being impacted by DVT and PE, there is more to say and while it may not always be easy, either is recovery, either is talking about it, either is sharing what has happened in your own personal triumphs and tragedies and yet, you still go on talking about it. So too, must I.
I am grateful for abundance in community. While it isn’t always easy to see, there are significant changes being made to raise awareness and bring DVT and PE as major public health concerns to the forefront. The community you have helped to build here grows stronger everyday and is widespread. I am grateful for athletes like NASCAR’s Brian Vickers and Olympic Speed Skater Rebekah Bradford, who have spoken out about their personal encounters with blood clots. Through stories such as there’s, we continue fighting to raise even more awareness. I am grateful for organizations like the National Blood Clot Alliance who fight to bring awareness to everyone. Our community is great, it is strong, and it is growing stronger each day. I am grateful for the opportunity to keep this community growing in abundance and change the way the public, medical professionals and the lawmakers think about blood clots. More needs to be done to stop blood clots and save lives. Together, we can make a difference. I am grateful to be able to say Happy Thanksgiving to you all. I remember my first holidays after me PE – they were miserable, nothing mattered. I didn’t feel good, I didn’t think I would ever feel good, and I felt completely alone. I was sad, I hurt and not even a beautiful turkey (even though I’m pretty sure the turkey was just normal that year), dinner with my family or glittering Christmas tree could make me feel better. There was no way to fix it, no way to speed it up, no way to change it. Happy Thanksgiving did not come out of my mouth to anyone, not a single time. To you, the person that is hurting, that doesn’t see a way out, that isn’t enjoying dinner or doesn’t even have a dinner to enjoy, Happy Thanksgiving. To you, the person who is alone in a crowd or alone in your bed, Happy Thanksgiving. To you, the person whose leg hurts, whose lungs burn and who doesn’t know what tomorrow will bring for your health, Happy Thanksgiving. To you, the person who is recovering well, but just can’t forget the ones who are not yet, Happy Thanksgiving. To you, the outspoken individual who has shared your story a million times already and to you, who is still too unsure to tell it, Happy Thanksgiving. To you who has lost your job, or to you, who is wondering how you will pay for your medication next month, Happy Thanksgiving. To you that has found stability and is trying to move forward in your recovery from where you have already been, Happy Thanksgiving. To you who is grieving the loss of a loved one and to you, the one that wonders why you’re still here, Happy Thanksgiving. And to you, George, Happy Thanksgiving. Reader Writes In. How are you giving thanks this year? Blood clots – Deep Vein Thrombosis (DVT) or Pulmonary Embolism (PE) cause more than 100,000 deaths in the United States every year (per the National Blood Clot Alliance). These deaths include men, women and children — and sadly these numbers continue to grow. 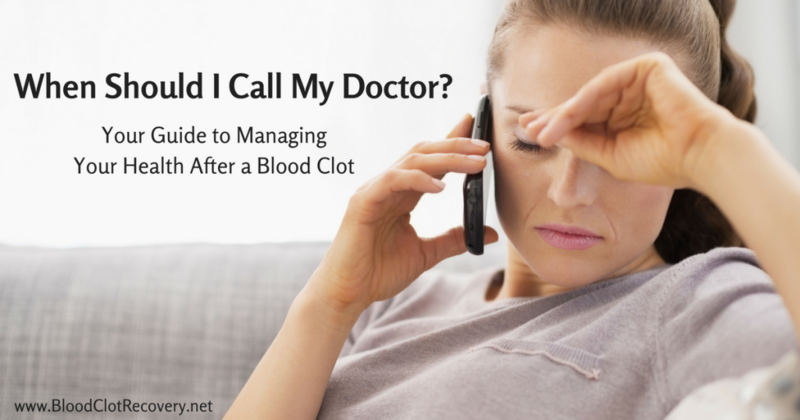 The good news is that many blood clot-caused deaths can be prevented. The bad news is more awareness still needs to be raised about this often silent killer. 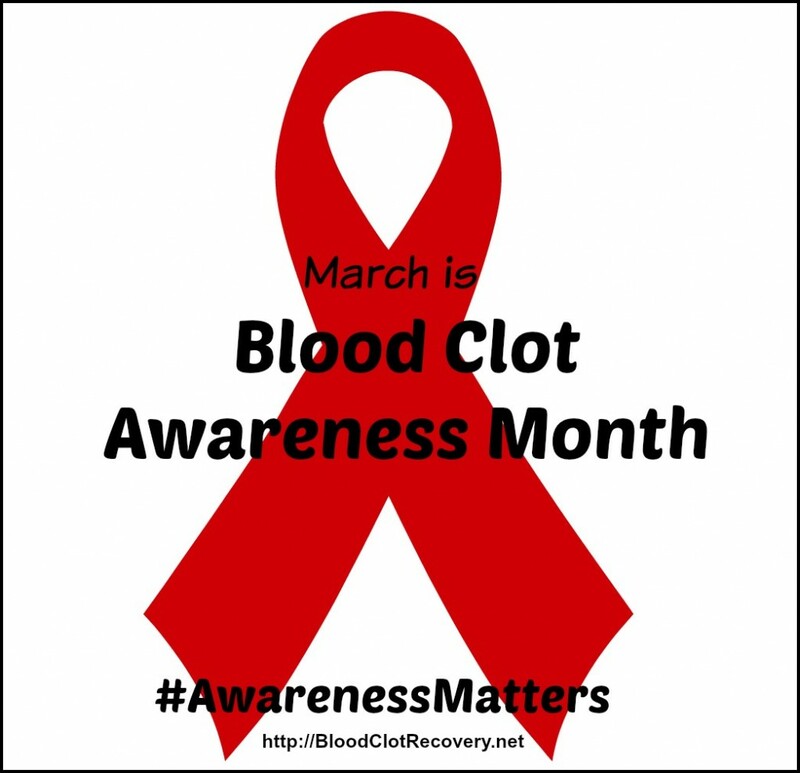 With Blood Clot Awareness Month not far behind us, it seems like blood clots have been in the news much more recently, and for that I am grateful. I hope we can keep the momentum going as we continue talking about and raising awareness about this important and virtually unheard of public health concern. 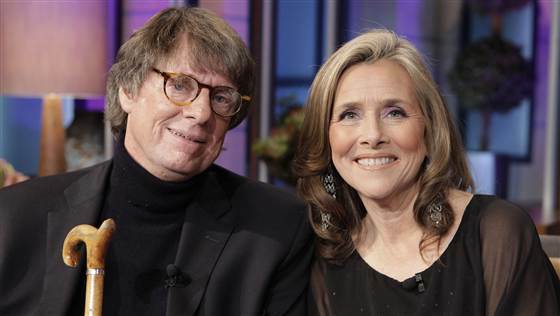 The husband of former TODAY anchor Meredith Vieira said doctors pulled him “back from the brink” over the weekend after treating him for a blood clot in his lungs. The makers of the blood-thinning drug Pradaxa were so worried that an internal research paper would damage drug sales that some employees not only pressured the author to revise it, but suggested it should be quashed altogether, according to newly unsealed legal documents. Mothers remain at risk of developing a serious blood clot for 12 weeks after giving birth, rather than six weeks as previously thought, say a team of researchers in a study published online today in the New England Journal of Medicine. Share your story. 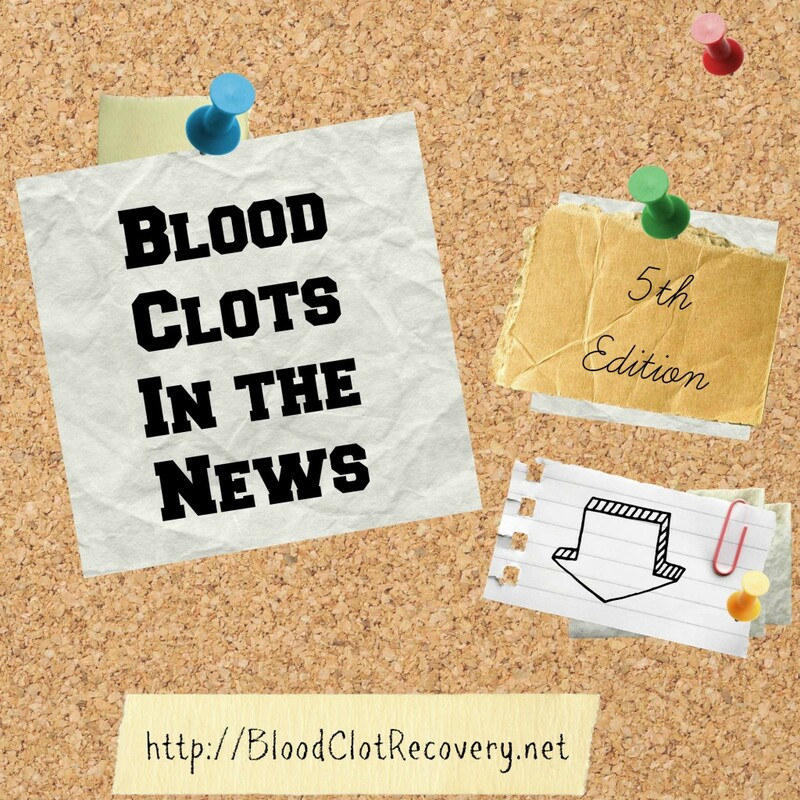 Have you noticed blood clots in the news lately? Have you heard of any more stories not listed above?